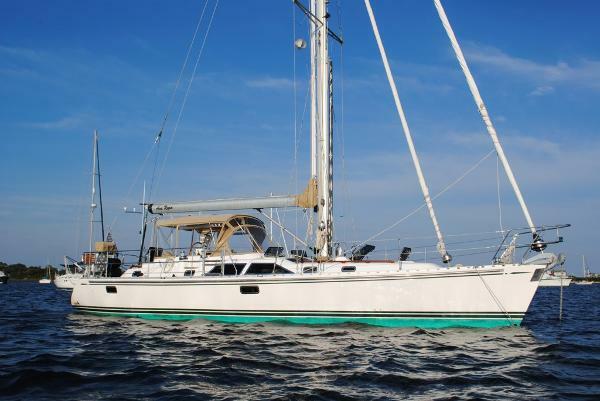 Scott Duncombe just listed a 2008 Hylas 46' AVA RYAN. Her asking price is $595,000. AVA RYAN is located in Newport, RI. She is equipped with $200,000 in accessories and luxury options including generator, reverse cycle A/C, Mamba steering, electric winches, In-boom main furler, watermaker and a washer/dryer. In addition to the many factory upgrades, Ava Ryan is equipped with the desirable shoal draft keel offering a 5'8" draft.